Our production facilities are 9001/14001 certified. Our aim is to deliver your distribution transformers fast, on time and conform to your specifications. We also manufacture a wide range of oil and dry type transformers. Our standard transformers are designed for use in moderate climates and can be installed both outdoors and indoors. Industrial IT is Danelecfze's name for a powerful commitment to solutions for Real-Time Automation and Information. Industrial IT guides every step Danelefze takes going forward in technology, business processes, and more. All Danelefze Distribution Transformer products are Industrial IT certified, which guarantees structured, easy accessible and online documentation. It can be viewed on its own but also as a part of a larger system. 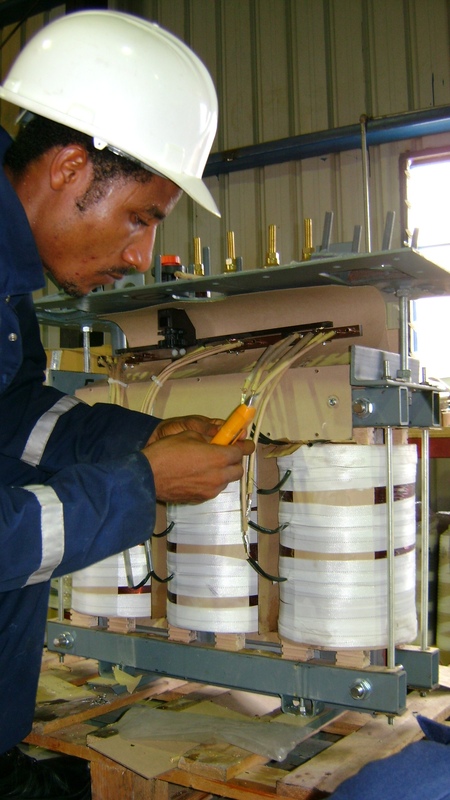 Our transformers are manufacture to provide you with a high quality and reliable transformer. Danelecfze has developed a Common Technology (CT) platform, which defines design standards, equipment and processes used in all our factories. Use of this Common Technology enables us to guarantee our customers a high quality and consistent product.